Eclipta prostrata (syn. 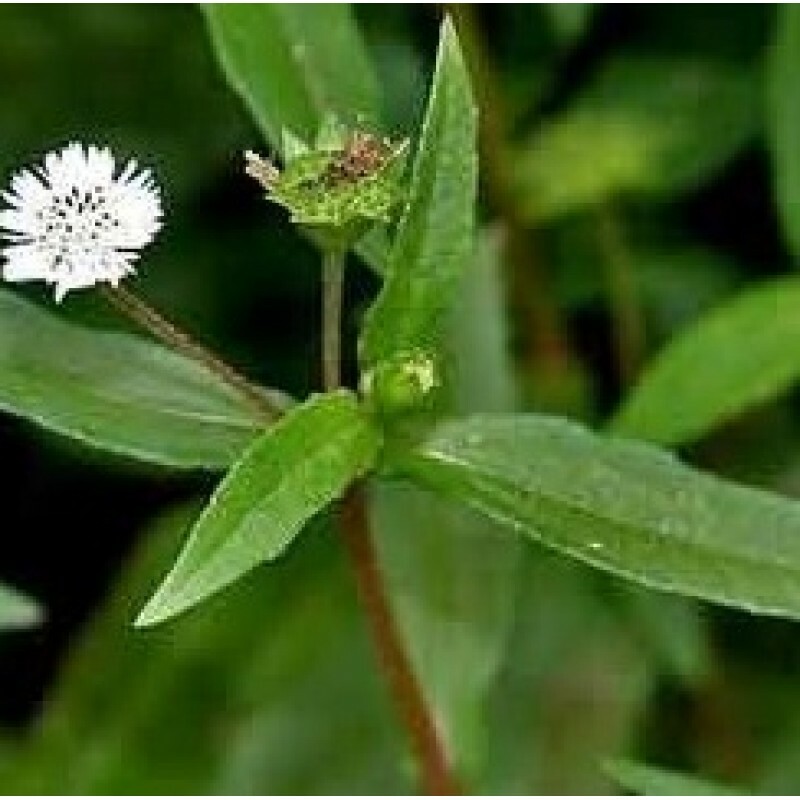 Eclipta alba) commonly known as false daisy, yerba de tago, and bhringraj, is a species of plant in the family Asteraceae. Other common names include kehraj in Assamese and karisalaankanni in Tamil and kayyunni in Malayalam and 'माका' in Marathi. This plant has cylindrical, grayish roots. The solitary flower heads are 6–8 mm in diameter, with white florets. The achenes are compressed and narrowly winged. in Kerala, India. This species grows commonly in moist places as a weed in warm temperate to tropical areas worldwide. It is widely distributed throughout India, China, Thailand, and Brazil. The plant has traditional uses in Ayurveda. It is bitter, hot, sharp, dry in taste. In India it is known as bhangra, bhringaraj, and bhringraja. Widelia calendulacea is known by the same names, so the white-flowered E. alba is called white bhangra and the yellow-flowered W. calendulacea is called yellow bhangra. It is reported to improve hair growth and color. A study in rats showed that petroleum ether extracts of E. prostrata decreased the amount of time it took for hair to begin regrowing and to fully regrow in shaved albino rats. The result of treatment with E. prostrata was better than the positive control, 2% minoxidil.